My goal as an Architect has always been to serve my clients and my community with good design. It has been exciting and challenging at the same time. My most difficult challenge is finding those people who want or need good design, but don’t know where to start. My hope that by offering to “meet you at Starbucks” (or Timmies if you prefer!) I can help bring answers to any of your questions, provide you with some free advice, or have a conversation about good design. The Architecture industry is surrounded by mystery and misconception, but we want to change that. It is true that architects are only involved in 5% of building construction that occurs around us because people don’t realize that they can benefit from an architect’s services. Architects don’t just design the fancy buildings that catch your eye. 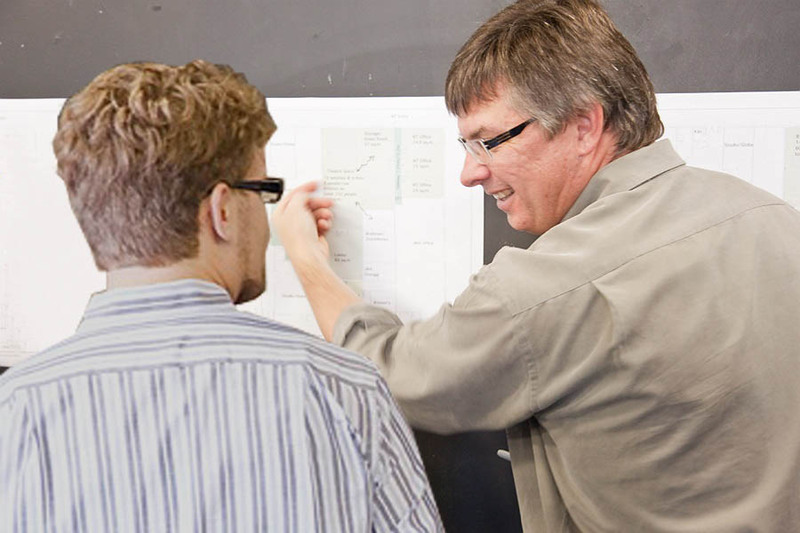 Architects are trained to solve any problem you put in front of them, from the smallest piece of furniture, to a house addition, to zoning changes, to the local community centre. We know that we can bring, to any design problem, creativity and problem solving to give you exactly what you need and want. We are trained to think of every possible solution and give you the one that best serves your needs, wants, desires, budget, for now and for your future. We hope that we can design a space, room, building, garden, or deck that will make you feel good everytime you enter it. Now, some of you might think, Architect’s just cost extra money and design things that are too expensive for my budget. Your priorities are our priorities, so if budget is a priority we maximize the value of your budget. We also ensure that you get a good contractor and quality work from your budget. With proper planning we can actually save you money, more than the costs for our services. We can reduce your energy costs, reduce your long-term maintenance costs, get the highest quality for your resources, increase productivity, and reduce wasted square footage. 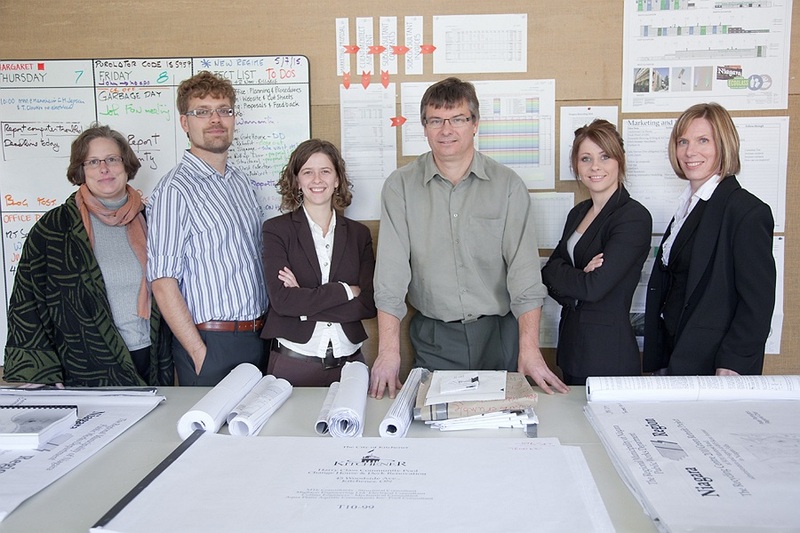 We at John MacDonald Architect believe that architecture is a team sport and we need you to play. We are designing something truly custom just for you. In order to do that we need your input. We want your project to be a valuable long-term investment, with strong personal associations. Already know a builder? That’s great! We would love to work with them to come up with a solution. Two minds are greater than one they say and even better if one has the construction know-how and the other with a design know-how. Think your project is too small to need an architect? No such thing. We design a service to suit your needs and your project. We want good design services to be available to everyone because a small project may loom very large to those who live with it everyday. Whether you need a more productive kitchen for your life style, a more generous entryway, a more organized storage system, more flexible offices, property selection assistance, a building inspection, or some colour advice, we can design a service to help you. Guest Blogger- Krista Hulshof M.Arch. This entry was posted in Architecture, Community, Design, Rural Design, Urbanism on 2011/01/31 by adminjma. Downtown London has the John Labatt Centre (the “jail”, I think it’s known as), and Hamilton its Copps Coliseum. Sundry dreams of replacing Kitchener’s Aud, and inevitably the subject of a location for it, contain the seeds of a dilemma: build on the outskirts where land is cheap, in a sea of surface parking, or struggle with a central site that brings citizens and event visitors alike to the heart of the community. Waterloo has, admittedly, its centrally-located Recreation Complex, but the decision regarding Rim Park took another approach than reinforcing the vibrancy of the Waterloo core. Let’s not dwell on the twists and turns of that project, set down in reams of court documents and electoral ballots. Let’s just look at the location decision. Years ago a Waterloo taxpayer riding the transit system to its last stop tried to hijack the bus, to actually get the driver to take him far enough out of the City to see what he was paying for, Rim Park. No kidding! I read it in the paper! No transit route actually went there at the time, and Mayor Woolstencroft was overheard to say that transit wasn’t an item that got much priority in the location decision. It got me thinking. With speedskating season upon us, and our family once again making the long trek to Rim Park three times a week, it’s reminded me again that the decisions we make in the pursuit of the cheap, “greenfield” solution never seem to include the long term costs. Let’s take Rim Park as an example. Bear with the math for a minute. Forgetting the outdoor fields, we’ll concentrate on the four ice surfaces, two basketball courts and three soccer fields. Maybe 6 hours of activities each day, say 250 days a year? An average of 20 people using the surface each hour. Give or take, (and at least in an overly optimistic business plan, if not in reality) that’s 270,000 car trips to Rim Park each year. Over the life of the facility (hopefully 50 years, given a few repairs and renewals) that’s 13.5 million trips. Rim Park is a 7.5 km drive from the centre of Waterloo at King and Erb. Using incredibly silly assumptions about how easy it is to get around in this Region, and gross generalizations about who is using Rim Park’s facilities, let’s consider the commute we’ve set up with that location decision. If the facility is used by Waterloo residents only, and it sits about 7 km from centre, in the far upper corner of Waterloo, AND users are equally dispersed across the City, AND nobody carpools, AND we don’t make too many mistakes with all this, then I figure the average commute to Rim Park for each user is about 8 kilometres. 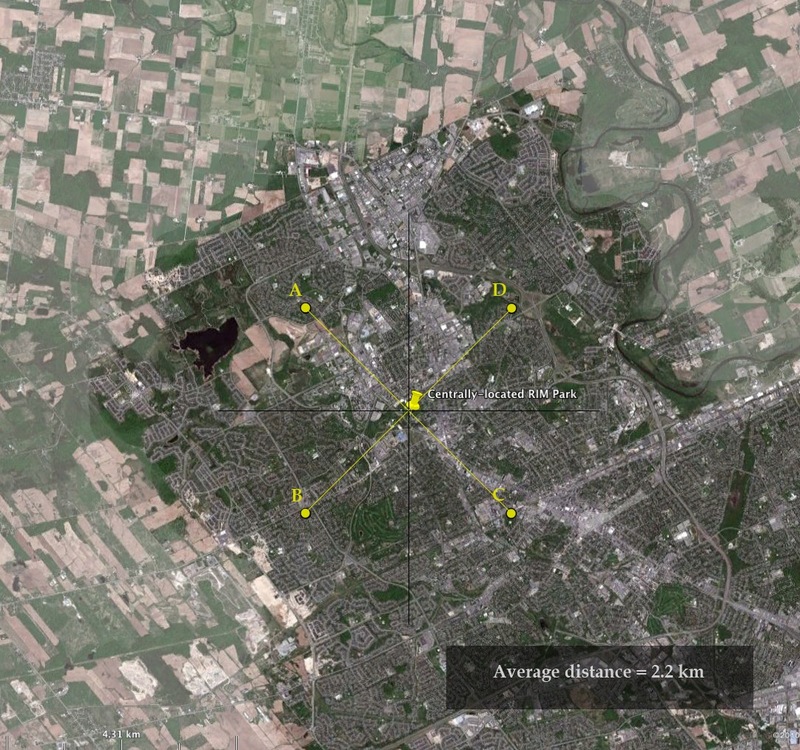 The same calculation for a location in the centre of the City is 4 kilometres. So the “difference” we can assign to the location decision is 4 km. Commutes go there and back, so 8 kilometres in total! Assuming the minivan with the hockey bag in it gets 10 km to the litre, and the litre of gas is $1 CDN, and we drive the extra 100 million kilometers involved with the choice of Rim Park’s location (13.5 million times the eight kilometre “commute difference”), then we’ve spent $10 million dollars on gas alone. Could we have picked up a site in the core of Waterloo for $10 million more than that cornfield cost? Likely. Would that central site hold its value if Rim Park and the Recreation Centre created a powerhouse of leisure, conference and event possibilities for Waterloo’s core? Absolutely. Would children be able to get to those ice pads and ball courts using public transit, helping to create ridership and cut our subsidies for 50 years to come? You bet. Would all those hockey teams have to jump in the car during all those tournaments to visit the same ersatz roadhouses they visited two weeks ago in Mississauga, or would they sample some uniqueness and authenticity within Waterloo’s core (large LCBO excepted)? I suspect the latter. Had I been asked to contribute a few dollars a year to buy a valuable site for Rim Park, rather than a few more dollars a year to drive to a cheap one, I’d hope that I’d choose some exciting possibilities for the heart of my community, and save a few bucks. Not that I was asked, mind you. I live in Kitchener. Oh, I see. My turn next. Hopefully any decision about a new Aud for Kitchener will keep the commuting costs in mind. The lure of cheap land to park the very cars needed to get there is a no-win proposition. Locating our high schools using the same logic might help with that school bus bill we pay each year. Teenagers taking anything other than public transit to get to high school makes no sense at all, and yet our school boards’ choice of high school locations is driven by the same lure of cheap land involved in the Rim Park decision. The dislocation between the transit system and our high schools is no laughing matter. It costs us big time. Let’s locate our major institutions for a larger efficiency. Our forefathers knew better. The taxes, the gasoline purchases, and the cost to our environment all come out of one pocketbook. This entry was posted in Architecture, Community, Design, Environment, Policy, politics, Property Development, Urbanism on 2011/01/20 by adminjma. I’ve just been reading the 2011 Ontario Association of Architects “Profiles 2011” Membership Guide. 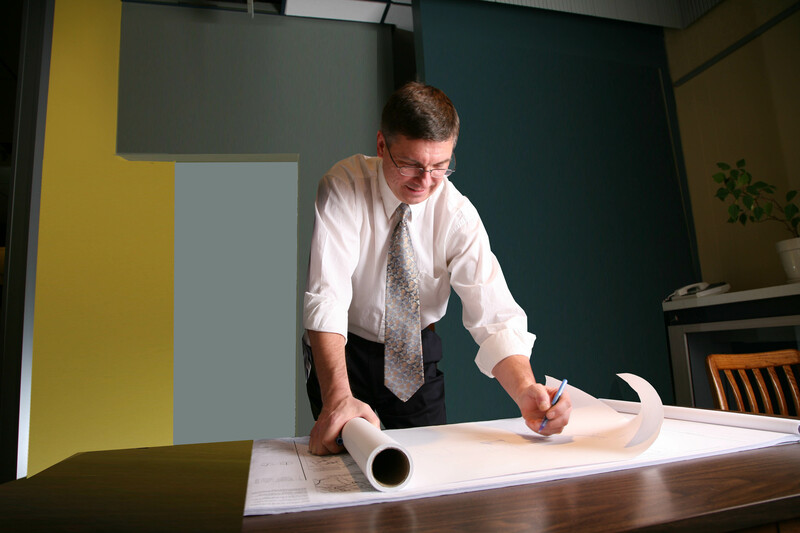 In it there’s an article entitled Why You Should Use an Architect for Your Project. Although interesting, and informative, and mostly on target in the mind of this particular architect, I couldn’t help but wonder how a broader audience receives its message. The article basically takes the point of view that a professional can help you make informed and important decisions about your project, with your best interests in mind. So far so good. It also points out that your project can benefit from the architect’s perspective on how the project can contribute to the quality of our communities and public interest. That’s what got me thinking about two items: assistance, and public benefit. How believable is it, in a world of salesmanship and shilling, that someone would actually get in your corner and help you with your project FROM YOUR POINT OF VIEW AND FROM YOUR BEST INTEREST? Especially if that professional had a public duty as well? The best customer assistance is the assistance that helps you buy: to suit your need, your budget, and your aspirations. The worst customer assistance is the salesmanship that sells: to suit the salesman’s bottom line and his need to move inventory, to fit you to his already designed product. In our fast-paced world of demand creation (by watching TV I’ve discovered I have diseases that I thought were just normality, and needs I never knew I had!) who really believes that a professional can work in your best interest, and take your point of view? Isn’t everyone working from their own self-interest? How can I trust someone helping me to buy my project? And when we introduce the idea of a public duty or a public benefit to your project, are we undermining the idea that we’re really in your corner? How can the idea of public interest be important to you, undertaking a private project? The lawyer doesn’t need to take the public interest into account. Only yours. The lawyer works in an adversarial system where if mine says black your lawyer will say white. That’s advocacy, and the judge understands it. The doctor works as a professional to assist you with your health. Full stop. Not to balance your health with the public good. As a bonus, the doctor usually sends her bill to someone else, not you. Why then should the architect, involved in so little of our community’s construction (less than 5% of building activity by some estimates), need to take public benefit into account when serving a client, unless the client is actually a public entity itself? We seem to be rather alone in this thinking, although we cling to the notion that what gets built by private interest inevitably creates the public realm, so it should contribute to that realm as well. A project contains thousands of decisions, most of which are interrelated and have ramifications on each other and the usefulness of the finished product. Designing a building is a bit like crafting the visible part of the iceberg. That 10% above the waterline represents the decisions. The 90% below the waterline is the real project cost and the real ramifications of those decisions. Architects, and I count myself among them, firmly believe that by paying careful attention to those decisions, that initial “above-the-water” investment and consideration, the full project will come together in a way that supports your goals, and to your benefit. It’s not enough, however, for just the architect to believe it. Both client and designer must work together to understand and achieve a great design. In a world where almost all our decisions are not about creating, but about choosing from the shelf (this model of car over that, this model of house over that), it’s tough to undertake a process of decisions that leads to your own unique design. Why not buy it off the shelf? And tougher still to believe that a professional architect, designer, or engineer is really in your corner, working for both your and our best interest. Believe it! Stay a bit skeptical, but give it a chance! This entry was posted in Architecture, Community, Design on 2011/01/05 by adminjma.